Natural language processing (NLP) is a field of study that focuses on the interactions between human language and computers. It sits at the intersection of computer science, artificial intelligence and computational linguistics. (Wikipedia). In other words, NLP allows computers to read, analyze and interpret human language. The concept of NLP is not new, it actually has been around since the 1950s with Alan Turing’s publication of “Computing Machinery and Intelligence” which proposed what is now called the Turing test as a criterion of intelligence. We see the healthcare industry, namely hospitals, adopt NLP technology to improve the accuracy of electronic healthcare records (EHRs). What we haven’t seen, until now, is its application to clinical research to accelerate study start-up. Randomization and Trial Supply Management (RTSM) systems (also can be referred to as interactive response technologies or IRT) are responsible for critical functions of a clinical trial, like dispensing drugs and randomizing patients, with direct patient impact. 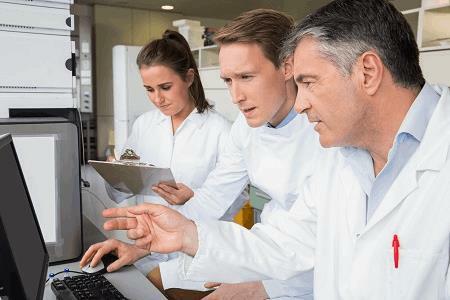 The current process for designing these systems involve asking clinical study teams, who should be spending their time operationalizing a clinical trial, to sift through hundreds of pages of complex technical requirements to design a study system. The result of this process is that systems are designed by clinical professionals that don’t necessarily understand what they are approving. 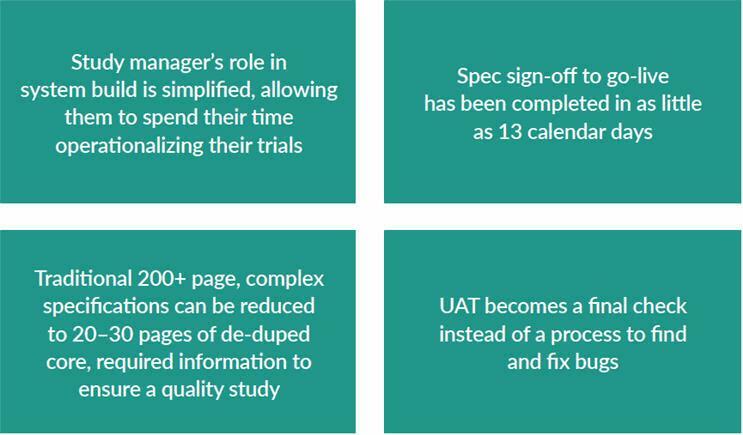 This ultimately leads to increased findings in user acceptance testing (UAT) and further edits to the system, adding additional time before system go-live. What if NLP technology can disrupt this process? It can. 4G’s RTSM utilizes NLP technology to read and interpret written RTSM specifications, understand them, and build a deployable system in moments. Study teams no longer approve 200+ page specification documents they may not fully understand – they approve the actual system. Instead of the customer receiving the system right before UAT, the full deployable system is delivered before the specs are even signed, and in some cases, in a demo before seeing the actual spec for the first time. The quality increases with each iteration of the system, and the customer has confidence that the system they are approving meets the needs of their trial. This solution requires a change in people, process and technology. It challenges us as an industry to look at our SOPs, our governance structure and our choices of technology. NLP is not magic. If you remember, NLP has been around for years and is currently used in hospitals and in other industries. However, there is some reluctance in our industry to embrace new technology, especially when the quality process needs to evolve in tandem. The process for building and implementing clinical systems is outdated, so introducing this type of technology is most certainly a cultural shift as well and needs to be embraced by senior leadership and adjusted within SOPs. NLP is a game changer in clinical research because it simplifies and accelerates an outdated process – which in turn saves time, money and alleviates burden from your trial teams. So, are you ready to embrace the future of RTSM? To learn more, visit www.4gclinical.com/rtsm. Cedric Druck, 4G Clinical Head of Engineering founded Belenox, a software and consulting firm focused on clinical trial supply chain excellence. He is passionate about the biopharmaceutical industry and technology, and is obsessed with efficiency and optimization. Cedric is a globally recognized expert on clinical trial supplies forecasting, having designed and built the CT-FAST simulation and optimization platform. Cedric has over 10 years of international experience with numerous top biopharmaceutical companies, RTSM vendors, and CROs, and is also a frequent speaker at RTSM and clinical technology events. Cedric has a Masters of Engineering in Applied Mathematics from Université Catholique de Louvain (Belgium).